I really like the 6×6 film format. Always have. Before the switch to digital i used it a lot for professional photography and nowadays i like to grab one of my Rolleis and shoot that magic dozen of pictures the 120 film offers me. 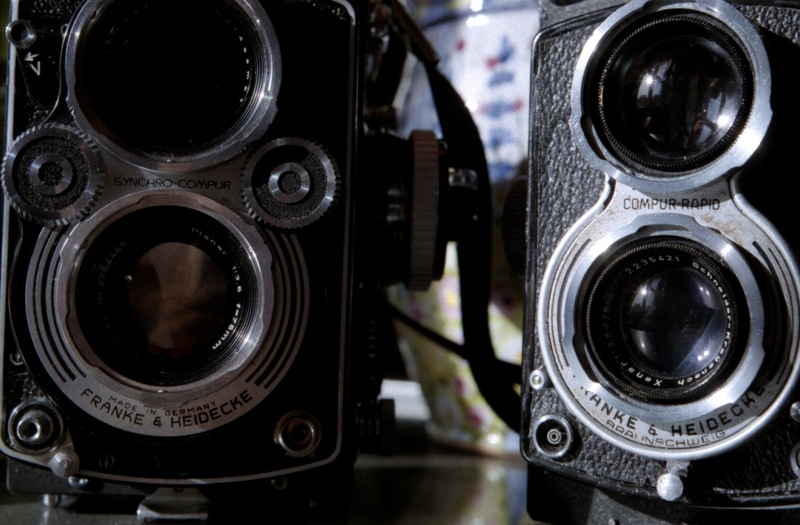 But Rolleiflex and Rolleicord are not my only medium format film cameras. 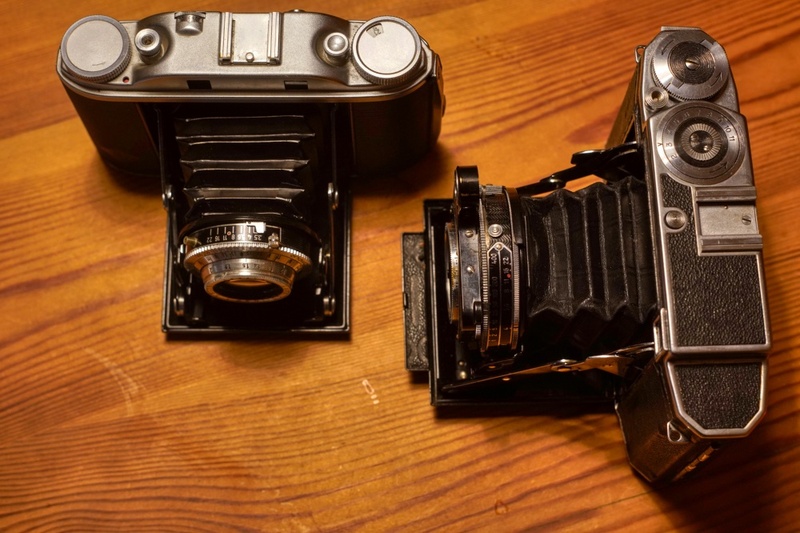 There is another category of these photographic machines i like very much: The folders – medium format for the photographer who wants his camera relatively small and light and popular from the 1920ies until quite recently (just think of the Bessa III that was sold until ten years ago). Although the words small are to be taken with a grain of salt when used in connection with those cameras. Okay, when folded they definitely need less stowage space than let’s say a Rolleiflex, but they still can be quite hefty – and heavy – beasts. Take my Super Ikonta 530/16 for instance, the 6×6 version of the legendary Zeiss Ikon medium format folders. It’s massive as a tank or – as i put it in a blog post – as an old Mercedes car from the days when Merdedes was a synonym for longevity and build quality. Standing next to this elaborately constructed chrome and leather beauty with its automatic film transport my other 6×6 folder looks and feels like a sports car parked next to the family limousine. It’s an Agfa Isolette III, built around 1955 and as sleek and slender a medium format folder can get. Picking up the Isolette feels almost like holding a 35mm camera. Only slightly bigger than a Kodak Retina IIIC, my favorite 35mm folder, it is the ideal 120 camera to take with you when traveling light. But the slimness comes at a price: Because the build of the camera is so compact there is no place for a coupled rangefinder. So the Isolette has to resort to an uncoupled rangefinder that is very precise but a bit cumbersome to work with. While looking through th viewfinder – a simple thing without any bright lines – you match a bright rangefinder spot with the rest of the picture by turning a tiny knurled wheel at the top plate of the camera. Once the distance is adjusted, you read the number from the wheel and transfer it manually to the scale on front of the camera’s lens. The lens itself is beyond any doubt – the 3.5/75mm four element Tessar-type Solinar is the finest optic Agfa produced for its line of folders, outdoing the three element Apotars and Agnars that also can be found in the cheaper models of the Isolette. To stay within the sports car picture: The motor is top of the line while operating the machine is very basic. Looking for convenience in the Agfa is a rather fruitless endeavor. While the Super Ikonta gives you a coupled rangefinder and automated film transport, the Isolette is bare of these facilitations of a photographer’s life. With the Super Ikonta you only have to determine the first frame of the film by looking into a little red window at the back of the camera. After that the chrome-plated transport wheel stops automatically at the next picture, with the Agfa it is red window from frame one to frame twelve – once you miss one of the numbers on the back paper of the film for a few millimeters you get uneven spacing of frames. It’s like driving a sports car with an unsychronized gear box – you have to know what you are doing. But it’s only fair to mention that the convenience of the Super Ikonta literary comes at a cost: Because the automatic film transport results in rather extended spaces between the frames you loose one of the twelve pictures of each 120 film. That’s the price for driving a Mercedes. There is one thing though where the Isolette offers more convenience than the Super Ikonta. Not everybody will see it this way, because it is one of the most controversial photographic inventions of the 1950ies: The EV-system. Many photographers dislike this principle of adjusting one value – the exposure value EV – on the shutter and then being able to move through all possible combinations of shutter speed and aperture by turning a single ring. With the Super Ikonta i have to adjust both values separately when i want to change my exposure from – let’s say – 1/25 f 11 to 1/100 f 5.6. The Isolette – some 20 years younger – has a rather well implemented EV-system that is kind of self-overriding when you reach the end of the possible speed/aperture combinations. You just keep on turning the ring on the shutter and the EV adjusts by clicking one value further. Some sports cars are said to be rather delicate machines with their own special vulnerabilities and weak points. The Agfa Isolette is no exception. One of its major weak points is the grease that Agfa used in assembling it. While being perfectly okay when the camera was built, it deteriorates over the decades and transforms into a sticky green compound that acts more like a glue than a lubricant. When i got my Isolette III the little wheel of the rangefinder and the front element of the lens were stuck into place while the shutter – bought as a whole part from its manufacturer – fired flawlessly at all times. After disassembling the stuck components and re-greasing them with a technical vaseline both worked properly again. Another typical weak point of almost every Isolette are its bellows. 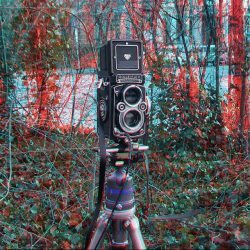 Normally made of fabric and thin leather like in my Super Ikonta, the bellows Agfa used in the 1950ies consist of a plastic material that aged over the years and got little pinholes in the corners that get a little bigger every time you open and close the camera. I tried to fix this with black tape, but i did not succeed entirely – as you can see on some of the pictures i took with the Isolette. I think i will buy a replacement bellows in the near future once i have decided whether i should risk to replace it myself or send the camera to England and have it fixed. One thing is for sure: I will keep my little sports car of a camera and hopefully take many interesting pictures with it. 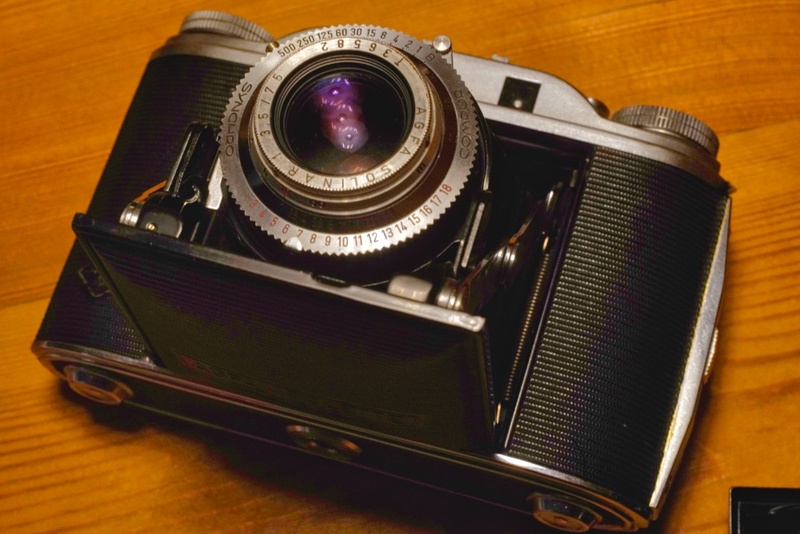 he Agfa Isolette III is not my only folding camera for the 6×6 variant of the 120 film. 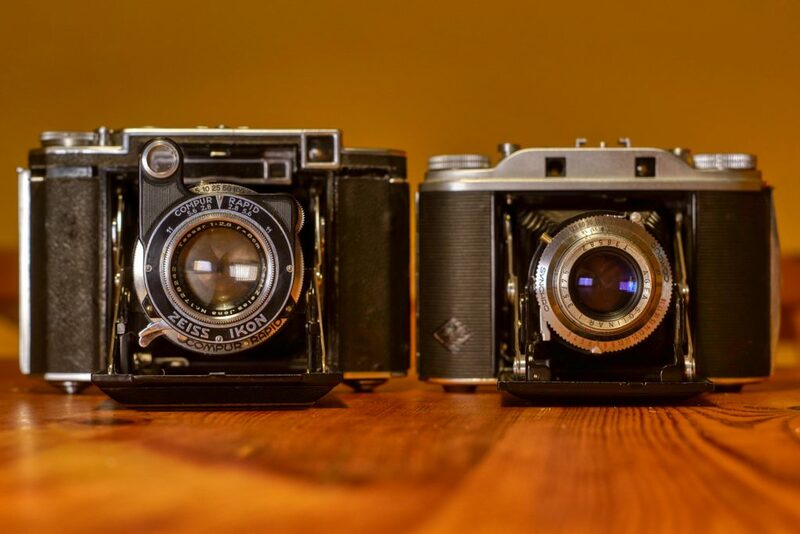 The two others are a pre-war 530/16 Zeiss Ikon Super Ikonta and a beautiful East German Certo Six. Next to those rather hefty beasts with 2.8/80mm Tessars and coupled rangefinders the sleek Isolette looks like a sports car parked between two chrome trimmed limousines. Although the Isolette’s 3.5/75mm Solinar in its Synchro-Compur leaf shutter is much smaller than the Tessars, its optical quality definitely plays in the same league as those iconic lenses. I have been following your work on Flickr with the Ambi-Silette. Yesterday I found this blog via your later-gram link. About twenty years ago, the Isolette III forced me to rethink what I really needed for medium format film photography. Yes, it need the old grease replace in the lens helical and rangefinder adjustment know – plus a replacement bellows. The original Isolette III bellows were installed by Bavarian workers by hand and simple tools. Custom bellows in the UK still make a replacement bellows. 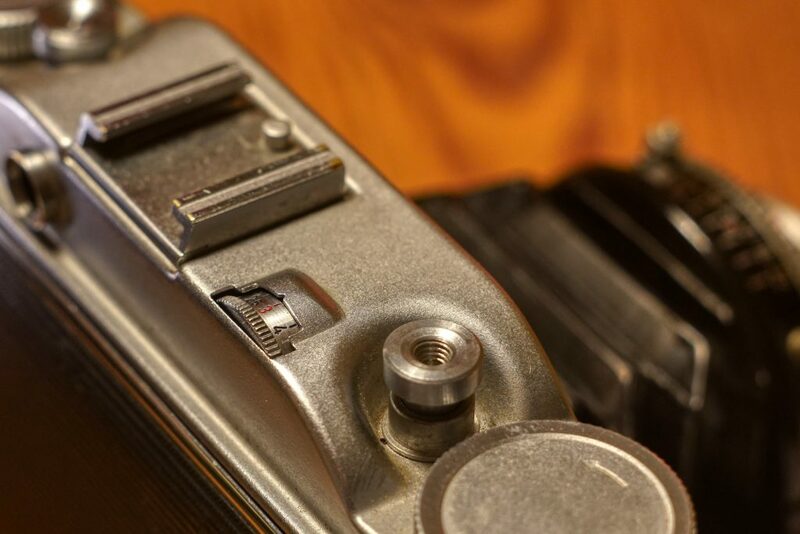 No need to send the camera off – but you do need to remove the lens/shutter assembly from the front standard. The rear film gate at the rear of the bellows is screwed on. Back to medium format photography – With regards to tonality and resolution, the format blows the doors off of 35mm film. The Isolette III impressed me so much that I later purchased a ZI 532/16 (that you refer to as a Mercedes limo). The Super-Ikonta led me to purchase a second Bayerischer – non other than the Agfa Super Isolette. Although a bit on the heavy side, weight-wise, this was the camera that led me to sell the Isolette III, the ZI Super Ikonta and a Rolleiflex that I had tried to like for a number of years prior. The Super Isolette has a coupled RF to a unit focusing lens assembly – and – Rollei automat-style film winding. There’s no red window on the rear. Rather than a Mercedes S class, the Super Isolette is more of a luxury sports car. Maybe closer to a 1971 BMW E3, than a Porsche? To me it is a still bit large and heavy to be sporty. So, I also have a Voigtlander Perkeo II – which is not a rangefinder 6×6 camera , but does have a rudimentary autostop film winder. It’s a dwarf. If it was a car, maybe a VW Type 141. 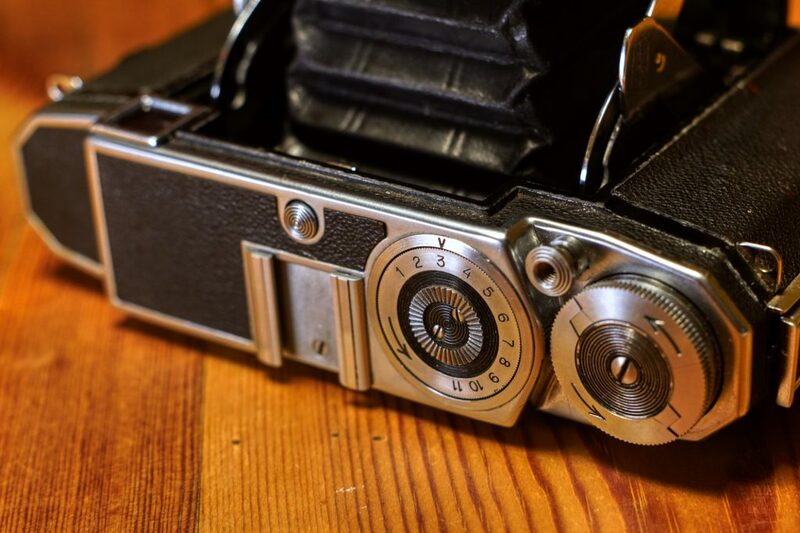 Bottom line – the Isolette III taught me that one doesn’t need a professional camera to enjoy medium format photography. Hi Andrew, thank you for your profund commentary and the very apt comparisons of the diverse cameras with corresponding cars. I agree with your views about the Agfa Isolette. And i congratulate you to your Super Isolette, a camera that is high up on my wish list. I guess i would do the same as you and give away my Isolette III and my Super Ikonta for such a lovely beast. Previous PostPrevious Agfa Flexilette – the offspring of a one night stand?